Colin Crouch is Professor Emeritus at the University of Warwick. "Crouch has offered another powerful contribution to the debate about the choices that we face." "A lively argument, sometimes sour, sometimes hopeful, but always backed up by telling facts on the future of capitalist society." "Faced by a dominant neo-liberal ideology and stripped of a historic agent, social democracy needs to transform itself. Colin Crouch is unique in his ability to dissect the dilemmas and suggest positive strategies. 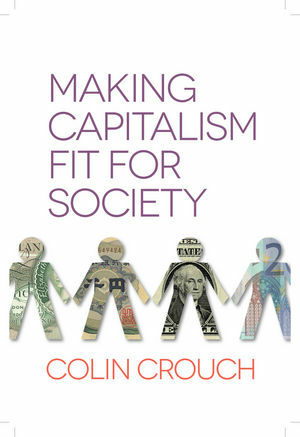 Making Capitalism Fit For Society is the best book so far for anyone wanting to start the journey of renewal." "A very good book with many thoughts for a more social policy in Europe"